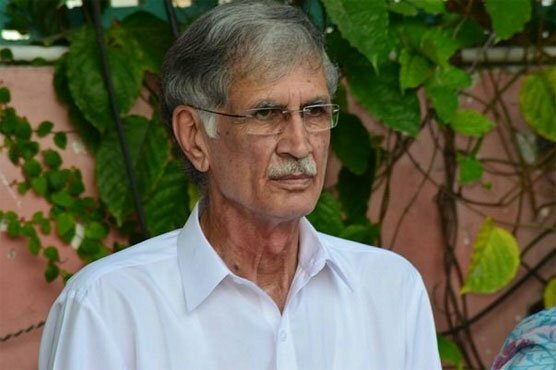 Former chief minister Khyber Pakhtunkhwa, Pervez Khattak stated on Tuesday that there was no grouping in Pakistan Tehreek-e-Insaf. Whilst addressing the media at Bani Gala, the MNA elect stating that his party has grouping whatsoever, also mentioned that the name for the KP chief minister has not yet been finalized. The MNA-elect was also asked if he has accepted the name of Atif Khan as the incoming Chief Minister of KPK to which he stated any name suggested by the PTI chairman will be acceptable for him.